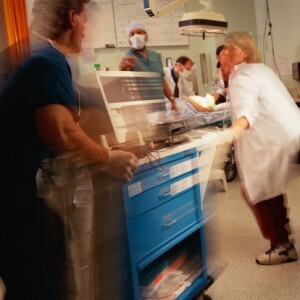 More than one hospital television drama has played out an emergency room scene where a patient has to be “tubed” to re-establish breathing. Intubating and placing patients on ventilators saves lives, but it also comes with risks especially for people who are critically ill. According to several studies, use of ventilators is associated with complications, such as pneumonia. If this occurs, the patient’s risk for death doubles. Pneumonia in these patients occurs from many factors, including leakage of saliva and other fluids from the mouth into the lungs around the breathing tube, termed aspiration. UCF College of Nursing Interim Dean and Orlando Health Distinguished Professor Mary Lou Sole hopes to change the odds for patients by improving the way nurses manage their patients’ care when they need a ventilator. She has spent more than 20 years studying nursing care practices for managing the patients who have breathing tubes, both as a researcher and a practicing nurse. She started her career in a hospital intensive care unit and saw first hand the complications she studies. In her preliminary research, Sole found that many critically-ill patients have a lot of saliva and other fluids in the mouth increasing their risk for pneumonia, and she identified the best way to remove these fluids. The National Institutes of Health recently awarded Sole a $2.3 million grant to determine if regular removal of fluids that accumulate in the mouth and the back of the throat can also help prevent aspiration. About 300,000 people require ventilators each year. Patients who develop pneumonia have an increase in up to $40,000 in costs and hospital stays of up to 10 additional days. And it’s not a comfortable process for patients either. Sole will be conducting her study over the next four years at intensive care units at Orlando Regional Medical Center, a part of Orlando Health. The grant will determine if the protocol she’s developed aids in preventing complications of the ventilator. The protocol calls for a standard way for nurses to remove excess fluids from the mouth and back of the throat. The team will also check patients for a special biomarker – a protein that is routinely found in saliva, but should not be found in the lungs. If it is found in the lungs it would indicate that the patient has aspirated secretions from the mouth into the lungs. 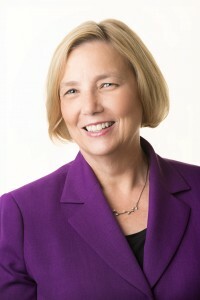 Interim College of Nursing Dean Mary Lou Sole. Aside from her duties at UCF, Sole is a clinical nurse specialist and clinical research scientist at Orlando Health. She is widely published and has been nationally recognized for her research with awards from the National Association of Clinical Nurse Specialists and the American Association of Critical-Care Nurses. Sole is a fellow in both the American Academy of Nursing and the American College of Critical Care Medicine. She earned her doctorate at the University of Texas-Austin, which named her a 2010 Distinguished Alumna. She is on the editorial boards for American Journal of Critical Care, Heart & Lung, and AACN Advanced Critical Care. She is also a past president of the American Association of Critical-Care Nurses of Metro Orlando. Co-investigators on the NIH study are: UCF assistant professor and nurse Steven Talbert who specializes in adult trauma nursing and Xin Yan, professor of statistics; Dr. P. Phillips Hospital, associate director of critical care medicine, Dr. Sam Venus, director for the Center for Nursing Research at Orlando Health Daleen Aragon Penoyer, PhD, RN, CCRP, FCCM, and Arnold Palmer Hospital for Children pediatric gastroenterologist Dr. Devendra Mehta, who specializes in biomarkers. Congratulations Marylou !! UCF College of Nursing is so fortunate to have you as their leader. You have been inspiring students and nursing colleagues for a long time!